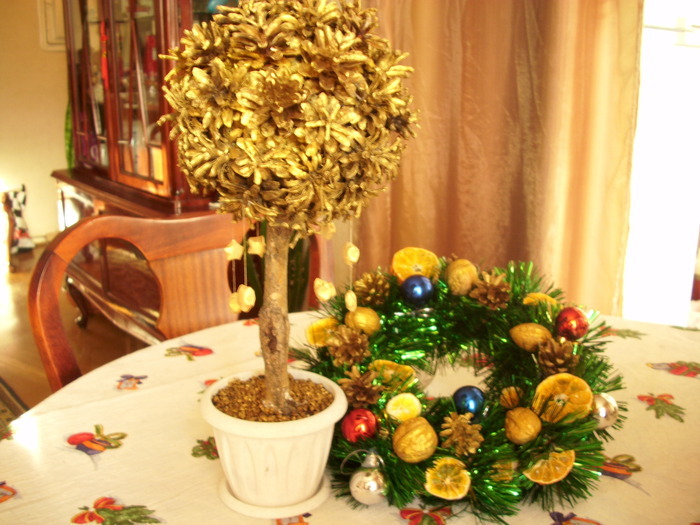 Show yourself now than create Christmas mood! 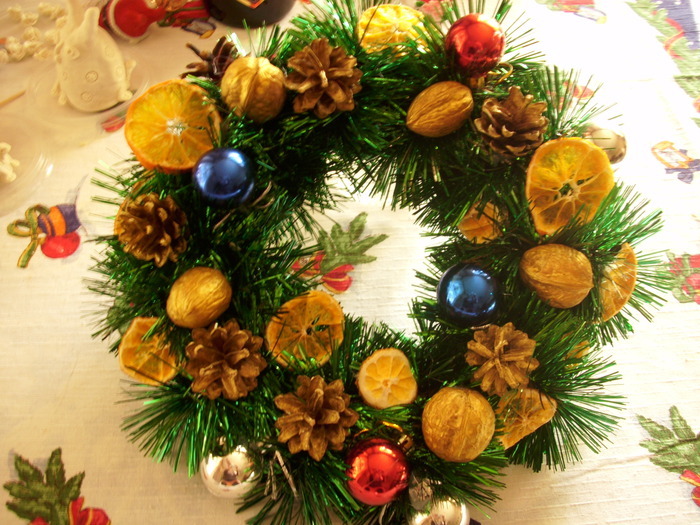 Seen too many different Christmas wreaths on and burned to make your own! 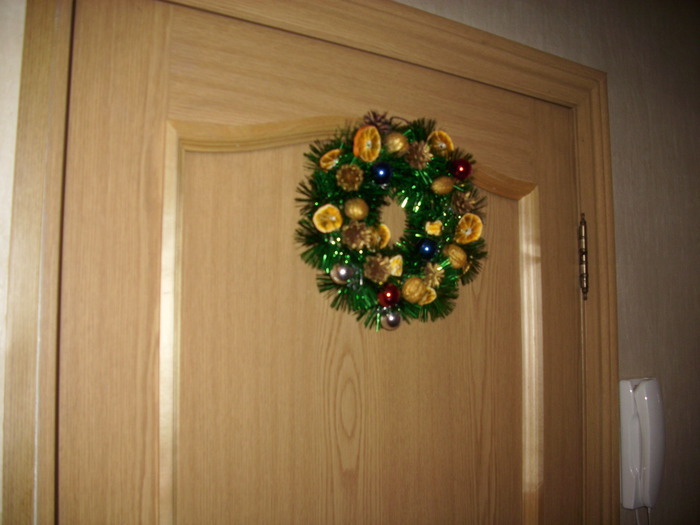 It took a little cut and dried apelsinchik, five nuts, pine cones, gold spray some balls and tinsel. Base - paper wrapped with a bandage tourniquet, missed for the strength of PVA and zatonirovany instant coffee ... Well, about five minutes to complete the assembly with a hot gun. Now in its rightful place. Pleasing to the eye!